My Dad has been staying with us for the past few days so I needed a dessert for today’s Sunday lunch. 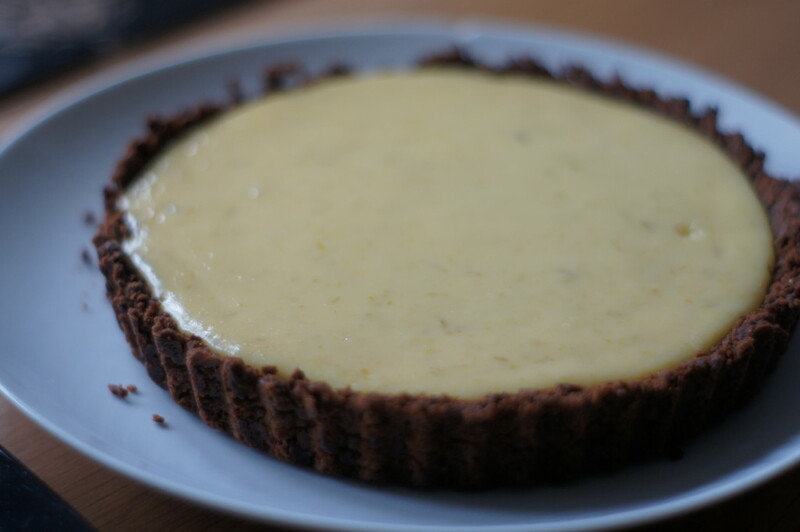 I had a vague recollection of a John Whaite recipe for a lime based dessert and luckily good old Google came to the rescue! This is a simple, quick and cheap (much to Mr Birdie’s delight!) recipe that is zestily refreshing. It got Mr Birdie’s seal of approval (a great honour indeed if you read my Blueberry crumble loaf post!) and would make a great dessert for any occasion. You could always add some piped whipped cream topped with lime zest or grated chocolate to add a little more wow factor. 1) Preheat the oven to 180°C/160°C fan/Gas 4. 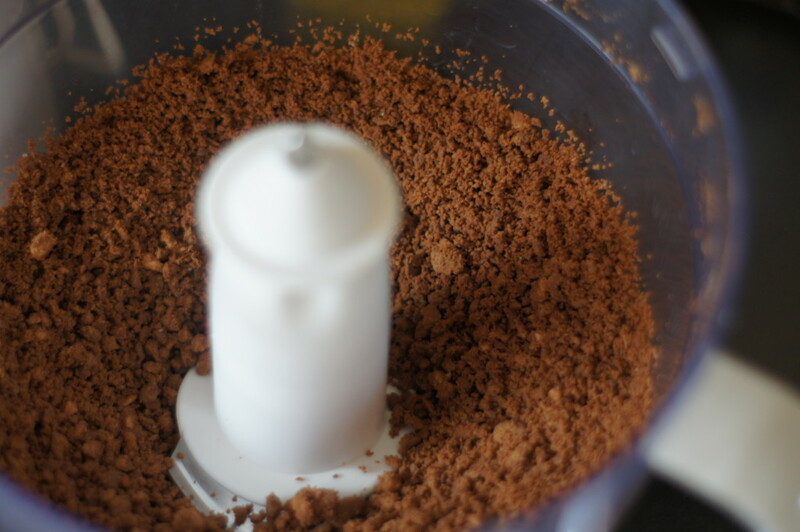 2) Place the bourbon biscuits and butter in a food processor and blitz until it is a dark sandy rubble. Tip this into the tart tin and press it down to compact it on the base and up the sides, as evenly as possible (I found a spoon handy for this). Chill this in the fridge for at least 30 minutes. 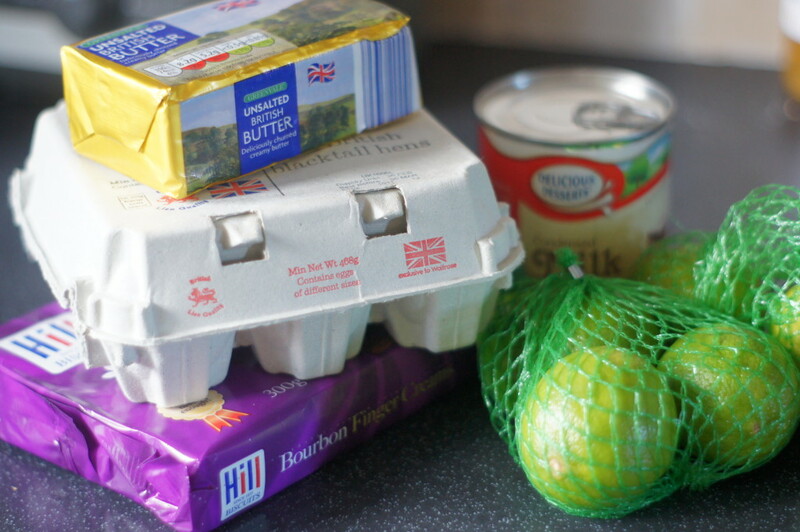 3) To make the filling, place the condensed milk, yolks, lime zest and juice in a mixing bowl and beat together. Pour that into the chilled biscuit base and then bake for 20–25 minutes, or until it is substantially more solid than before it went in the oven. 4) Remove from the oven and allow to cool completely, before refrigerating for at least 2 hours before serving.